I can hardly believe it is already Wednesday! That is one thing I love about holiday weekends...it means we are that much closer to the next weekend! 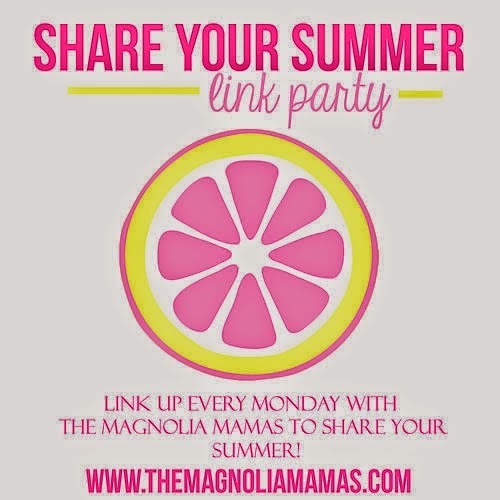 We are officially on summer vacation right now, although this week is busier than a regular school week and I have a lot of random ramblings to share today. ~Last week the girls had their last day of school on Thursday. They were both happy about summer, but sad about saying goodbye to their amazing teachers so I wanted to say welcome to summer in a big way! 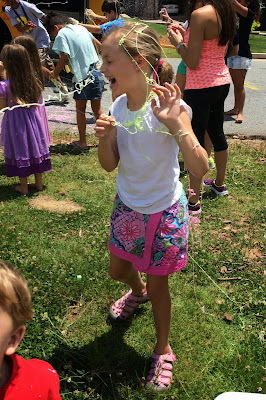 The other parents and I planned to greet the kids at the bus stop with silly string and water balloons, both of which were a big hit! The kids had no idea what hit them and they were all so excited. 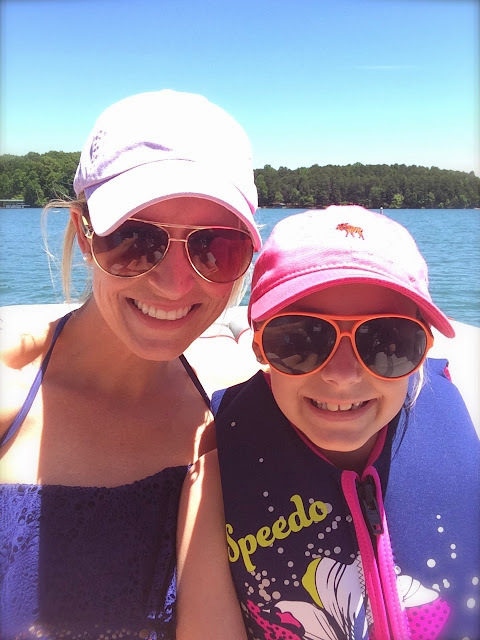 ~Like Jen wrote about yesterday, we had a wonderful time at the lake this past weekend to celebrate the start of summer. (You can read all about our weekend HERE.) The weather was gorgeous, the water was clear, and we spent time with wonderful friends! One thing I love most about being at the lake is all of the uninterrupted family time. We didn't turn the TV on once and took full advantage of being outdoors, laughing together, and making memories. ~We recently got a paddle board and I got to try it out of the first time. Y'all, it was SO much fun and I'm officially hooked! I only took it out for a quick spin, but can't wait to try it more next weekend. Little Mama and Blondie gave it a whirl, too and both did great for their first time (and considering the board is huge for them!). ~Yesterday we practically spent ALL day at the dress rehearsal for our dance recital. 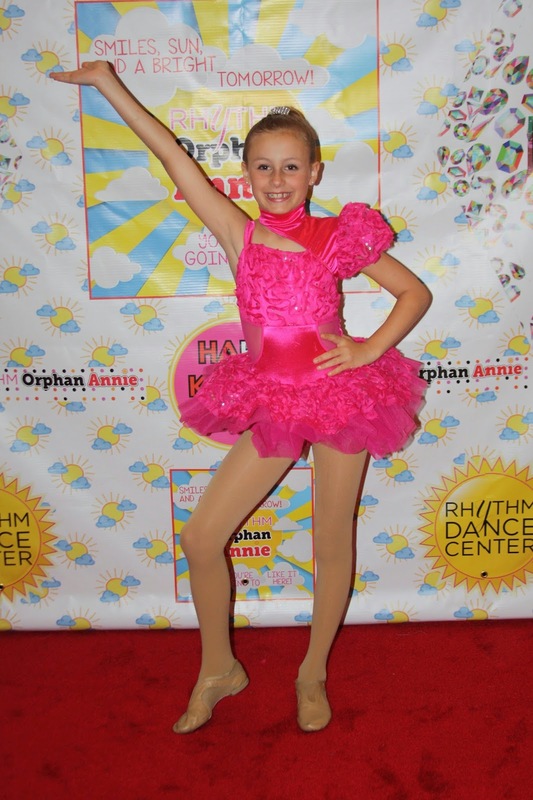 The girls had fun performing up on the big stage and just loved getting to wear make-up and their costumes. They looked precious and I can't wait for the big show later this week. ~I shared this on Instagram last week, but not sure if I have shared here. I am earning my badge as swim team mom this summer because the girls are doing swim team this summer for the first time. So far they are loving it. You can ask me my opinion about it later this month when I have really had to get them up and to practice every morning, but so far, so good. We have our first meet this evening (if the thunderstorms hold out) and they are so pumped! 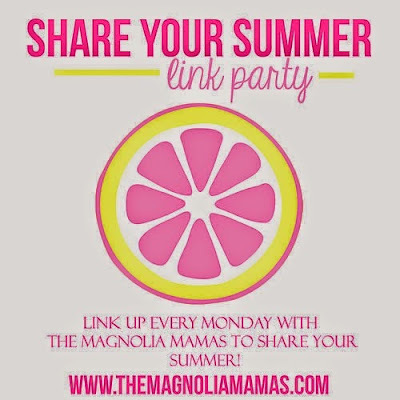 ~And last, but not least, be sure to join our very first Share Your Summer link-up HERE. We will read everyone's posts and share some of our favorites on Friday! I am so with you on the family time and being interrupted. Thats so wonderful. I've been wanting to try paddle boarding for a few years now.. it looks so fun. Your girls looked beautiful in their dance costumes. We have dress reherasal today. Love the balloons and silly string idea -- how fun!